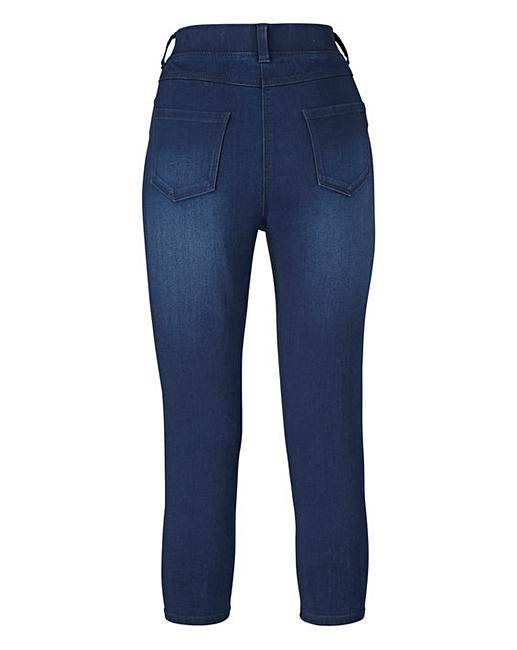 Amber Pull-On Crop Jeggings is rated 4.1 out of 5 by 57. 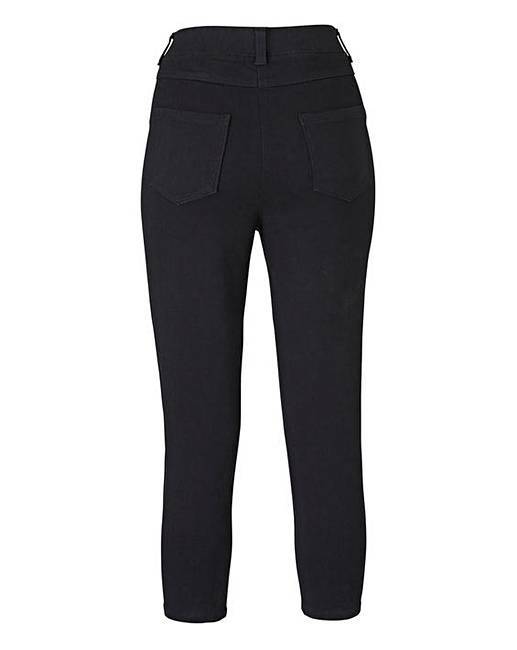 Available in a trio of colours, the Amber pull-on crop jeggings are super-comfortable and can be styled up or dressed down depending on the occasion. 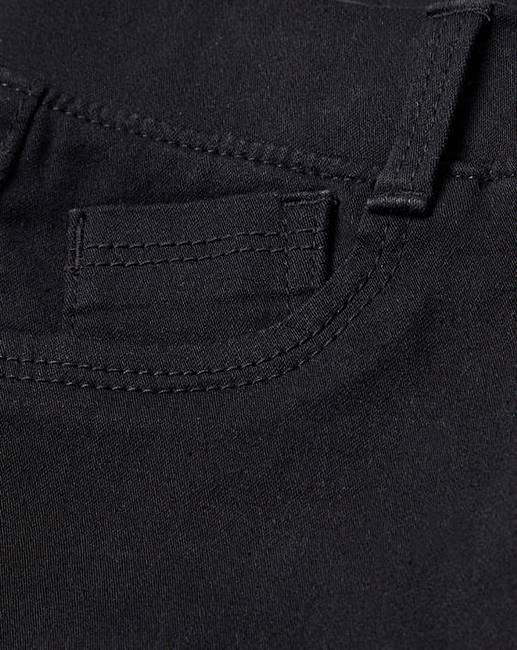 A true wardrobe staple, these jeggings feature a flat, elasticated waistband for optimum comfort as well as a selection of pockets and mock pockets for added style. Add to your spring/summer wardrobe and pair with a selection of tops and trainers for a variety of different looks. 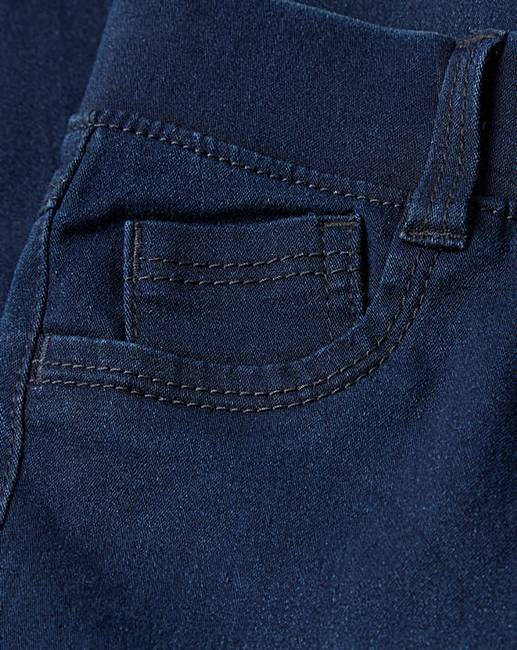 56% Cotton, 24% Polyester, 19% Viscose, 1% Elastane. Rated 5 out of 5 by KerryB from Great After reading the reviews to go up a size I did, tried them on and they are massive on me so had to order my size actual size now, hopefully they will fit me. Rated 3 out of 5 by Rainbow Red from Nice shape Lovely feel but too tight on legs, so couldn’t actually pull them completely on. Disappointing. Rated 3 out of 5 by A J from Comfortable option to jeans. First time of buying jeggings. Was pleased with comfort factor. 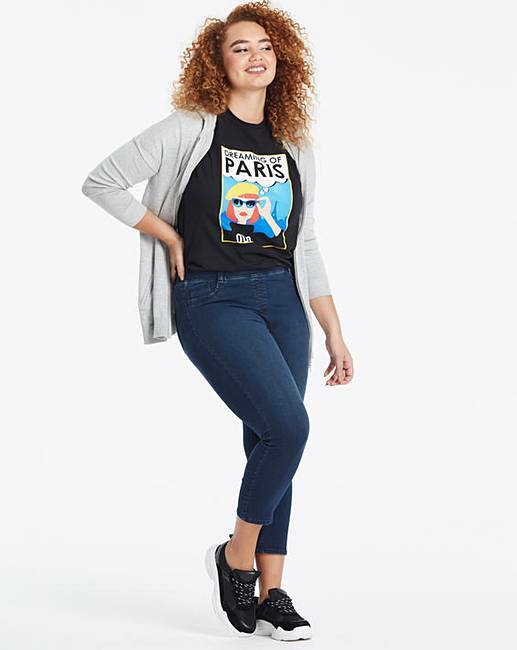 Body fits Great, but legs still too long for me (I'm 5ft 3") to pass as a crop jegging. Look like full length on me, but pass off quite well as normal jeans. They are also far too baggy on legs. 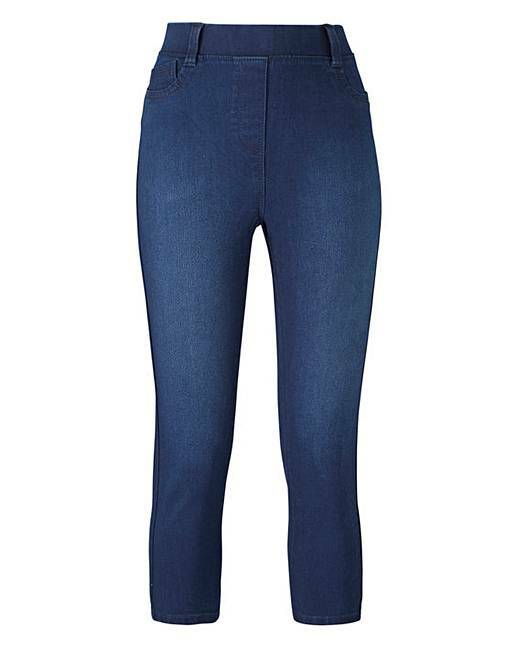 Again, as a Jean Ok, but not if you want a tight fit on legs. Seems like the manufacturer has presumed "big body = chunky legs and tall". Not the case! Rated 5 out of 5 by Julie from Stayed put Didn't move as I find with jeggins. Would buy again. Rated 5 out of 5 by Magthehag from Fab! Great quality and an excellent fit. Very good value for money! Rated 5 out of 5 by Jesters from LOvely and comfortable True to size- not overly generous yet with stretch so not restrictive. 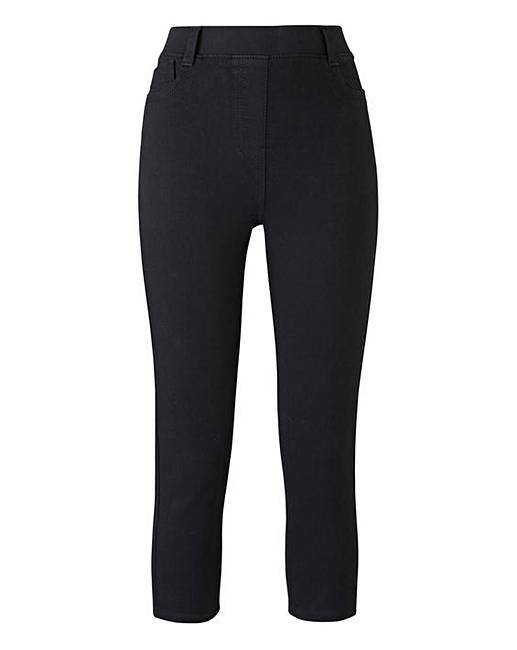 Great basic for wardrobe when you want more coverage than leggings afford. Bought two pairs -will stock up on more.